We are a full-service luxury travel agency with a staff of travel professionals who bring their varying experiences and thorough knowledge to help you plan the custom vacation of your dreams. A tailor-made holiday experience! Your trip can start on any day of the year giving you complete flexibility over itinerary, duration, and budget. We will use our 60 years of travel experience to assemble a bespoke self-guided trip exactly to suit your interests and wishes. No two people are the same which is why every trip is unique. We have travel specialists who nurture their passion for specific destinations around the world. They keep their knowledge current by visiting their chosen markets regularly so they can make recommendations to their clients that will ensure a trip that is at the top of their memories for years to come. What is your best travel experience? The Renshaw Family (Carly, Jessica, Don, and Don Sr.) and David Lowy share their personal travel highlights. Thank you Carly for your help! You are my #1 thought when it comes to travel! 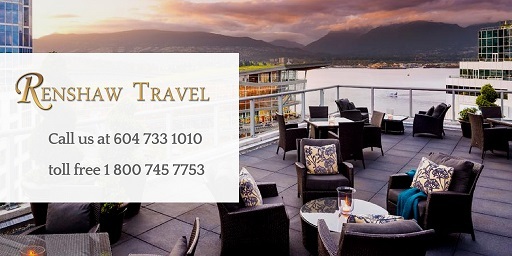 Renshaw Travel is the best Luxury Travel Agency I have ever used. We all loved the trek experience and were just thrilled with the accommodations and our guides.